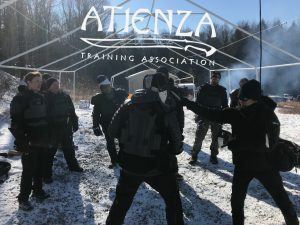 Atienza Kali recently had its annual Winter Session. The weather that weekend ranged from 32° high to a low of 4° in the evening, with snow coming in on the last day. The Winter Session allows the AKP to test their winter gear and train under some adverse weather conditions. Check out upcoming events in our Schedule of Events page.